AutoHail has repaired thousands and thousands of hail damaged vehicles across the country for dealerships large and small. Although each deal may have varied slightly, the outcome never has; smooth operations and happy customers, salesmen, managers and owners (and beautiful looking cars of coarse). Please Stop Reading and make sure that you have a virtual snapshot of your inventory! Pay attention to which vehicles were on the showroom floor, in repair, out for loan, etc. With AutoHail’s Help is on the Way™ program, our first responders will be on site fast, sometimes while the ground is still wet from the hail storm. They are fully trained in estimating, negotiating (on your behalf with adjusters to make sure you get a fair settlement) and will evaluate the number of technicians needed to ensure a perfect flow. 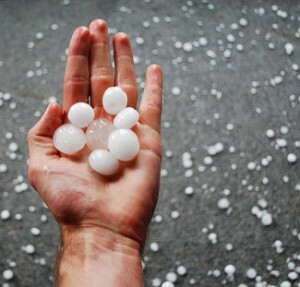 Hail catastrophes often require a high volume of work to be performed within a short time frame. AutoHail has the resources and capabilities to handle such projects and will dispatch the appropriate staff to ensure expedited repairs. Let’s get right to the point; this storm should not cost you anything out of pocket if you have comprehensive insurance. Our Wholesale Discount Program offers huge discounts for volume deals. The deductible and the severity of damage will determine exact amounts. There are also ways in which you will make additional profit which we will address below. At AutoHail, we understand that you did not ask for this storm to happen and things were already busy. Our technicians are trained in a proprietary way to ensure that you can focus on business as usual. Little things like knowing where to park their personal vehicles as to not disrupt customer parking to the more important issues like bumping a sold unit to the front of the line. Our experienced technicians are fully vetted and certified and undergo continual training on advanced hail damage repair processes. With AutoHail technicians on the job, you can breath easy. Our site managers are some of the best in the industry. They are there to make sure everything goes according to plan. Everything from proper key handling to strict quality control checks, our managers will catch any problem before it becomes an issue and correct it properly and quickly. There is not much they haven’t seen. Our proprietary systems and procedures have been perfected over the decades to make the entire process painless for you and your staff. AutoHail uses little tricks like marking the vehicles with an AutoWriter pen after each step. We also use both paper and digital systems for vehicle tracking double checks to ensure perfect and clean invoicing. These proven systems and many more provide you the comfort that everything is done correctly the first time. We can set up on-site if you have adequate room and will even pay you rent while we are using your space or we can set up remotely and shuttle the cars. Don’t worry, AutoHail is one of a handful of companies in the industry that actually carries the appropriate insurance to cover this operation if needed. Either way, your lot will stay full so you can continue to make sales! AutoHail offers something that no other company can. Free advertising that works! 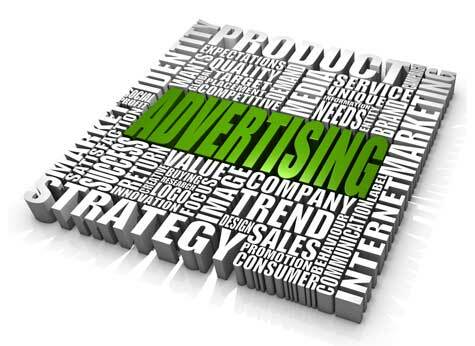 We have spent hundreds of thousands of dollars over the decades to fine-tune our marketing both online and off. We will put this power to work for you during and even after the storm. We can create excitement by making your lot look like a circus with banners, blimps and flags to draw attention for a HAIL SALE or we can operate discretely like the storm never happened. Either way, we will bring new people to your doors. AutoHail offers 100% Satisfaction Guaranty and a written Lifetime Warranty. No missed dents and dents will never return! Now that the storm is over, the second storm has probably started. The storm of PDR guys calling, emailing and stopping by dropping off business cards and brochures; bombarding you with every promise and tactic under the sun. Choosing a PDR service provider is a very important decision that could end in bliss like winning the lottery or horror with vehicles returning with leaks from drilled holes or sagging headliners. As with any industry, there are great companies and not so great. To help narrow your search, please remember that there are two types of PDR technicians, hail techs and route techs. Route techs repair sides of vehicles 95% of the time and almost never handle headliners and other delicate interior pieces. Please do not hire a door ding company to handle your hail damage. Hail experts have special lighting and completely different tools to properly and efficiently access the dents and bracing that hail damage requires to fix properly. That being said, we are sure you have someone that has been loyal to you taking care of your dings and we appreciate loyalty. We will work with them if you like to make sure that they can benefit from the storm too while still servicing their regular route as well. We will even offer them some advanced training that will benefit you on your lot for years. Just like your team has probably become a family, the family at AutoHail is very tight. We pay our technicians more than the average rates because we care about them and they return the favor by giving us (and you) their best! Every dent on every car every time. That’s AutoHail! We would love to work for you and repair your damaged inventory. Thank you!